In 1969, Seth Siegelaub, pioneering supporter of conceptual art, organized March 1969 a.k.a One Month, an exhibition that existed only in catalogue form. Siegelaub invited thirty-one artists to contribute a work; one for each day of the month. Time-Lapse curators Irene Hofmann and Janet Dees have conceived of a project that is an homage to Siegelaub’s ground-breaking “exhibition,” updated for today’s virtual, technological world. 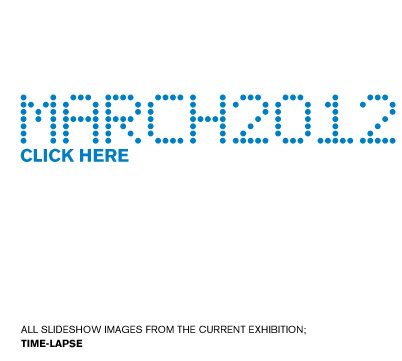 March 2012 will be hosted on the homepage of SITE’s website. Each day during March one work by a different artist will be featured. The participating artists are an international and intergenerational group currently working with conceptual, time-based and media-oriented practices.